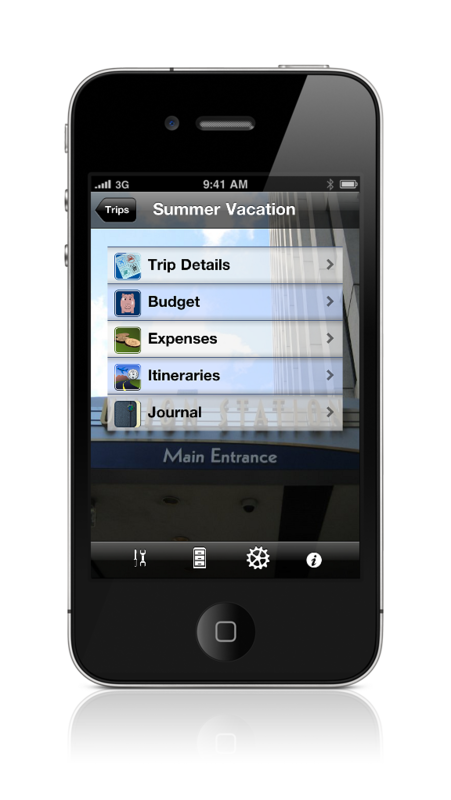 Trip Boss™ travel manager is modular, so you can add on additional travel apps via in-app purchase. Each module helps you manage a different aspect of your travel. We're confident you'll eventually want all the pieces of Trip Boss™ travel manager, but also know you like to try things first. With that in mind, we've crafted four versions to start your travel managing. Each app has in-app purchase to add the rest. We recommend picking one app, then customizing it. While each app is sold separately, valuable benefits are gained by sharing & sending data between modules. 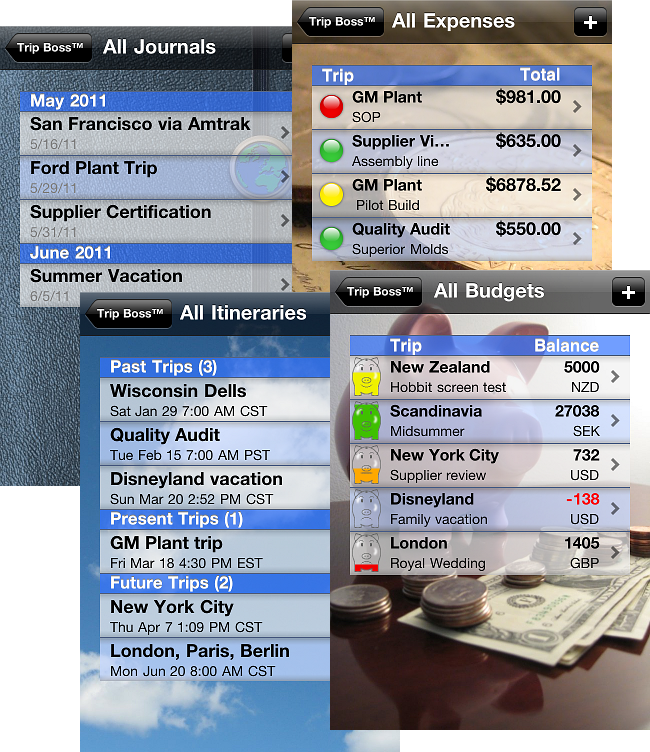 Example: Enter flight and send ticket cost to expenses, in a few taps. You can't do that with separate travel apps! Trip Boss™ is designed to be for Business and Personal, International and Domestic travel, so you can manage all your travel experiences with one app. The app is highly configurable and flexible, with beautiful and compelling graphics and user interface. All modules/apps updated for larger iPhone 5 screen size. Trip Boss™ travel manager is designed with dual navigation to provide extra features. Create a trip and navigate between all purchased modules via the Trips icon. No need to exit to main screen--even use the tools (tip/currency/travel time) by tapping the tools icon in the lower toolbar. Prefer to navigate through the modules? Each module lists all the trips on a specially designed summary page for additional at-a-glance information. Then navigate all trips within the module. View more information about each add-on app/module from within our in-app storefront. Browse the available modules by tapping on the icon to view current price and details. Tap on the price to purchase modules using your iTunes account. Purchased modules will appear at the bottom of the vending machine. Restore previous purchases (including ones made on a different device with the same iTunes account) by tapping the Restore Purchases button. As new modules become available through updates, they will appear in the empty slots.